In a move that's sure to have the team working on the Samsung Galaxy X scurrying in defense, Huawei has just confirmed that the folding phone that it will be releasing in 2019 will also come with 5G connectivity. Speaking at the World Economic Forum, and reported by Telecoms, Huawei Chairman Ken Hu said: "In our first [5G] smartphone we’re going to introduce a foldable screen." Huawei has previously confirmed that it is developing a folding phone, which it will release in 2019. The company also said in an interview with T3 that it would be releasing 5G phones in the same year. 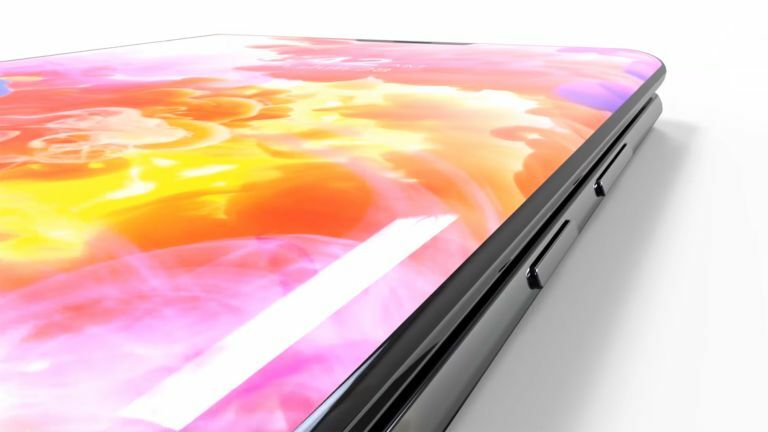 But this is the first time that the company has gone on record to state that its upcoming folding phone will also be a 5G phone. Putting 5G connectivity into a folding phone makes sense to us: 5G handsets are likely to require more cooling than their predecessors and they'll also benefit from larger batteries because the faster speeds will enable (and no doubt encourage) people to use their phones for more battery-intensive tasks. So the bigger the phone casing – and it's certain that a folding phone will be bigger than a non-folding one – the easier that is to do. This might also explain why many phone manufacturers – Apple included – are starting to release larger handsets. Huawei has not confirmed a release date for the new smartphone, but we know that the company wants to beat Samsung and Sony to release a 5G unit – and we're looking at a likely Spring 2019 announcement for a 5G Samsung Galaxy S10 and a 5G Sony Xperia. So if Huawei is to win this particular race, we'd expect the Chinese manufacturer to officially unveil its 5G folding phone before next year's Mobile World Congress, which starts at the end of February 2019. What might this new phone look like? Take a look at the concept video by TechConfigurations for one idea.